Don’t you hate it when your favorite beverage loses its frosty (or piping hot) goodness before you have a chance to fully enjoy it? We sure do, and that’s why we over-engineered our Rambler Tumblers with kitchen-grade 18/8 stainless steel and double-wall vacuum insulation. 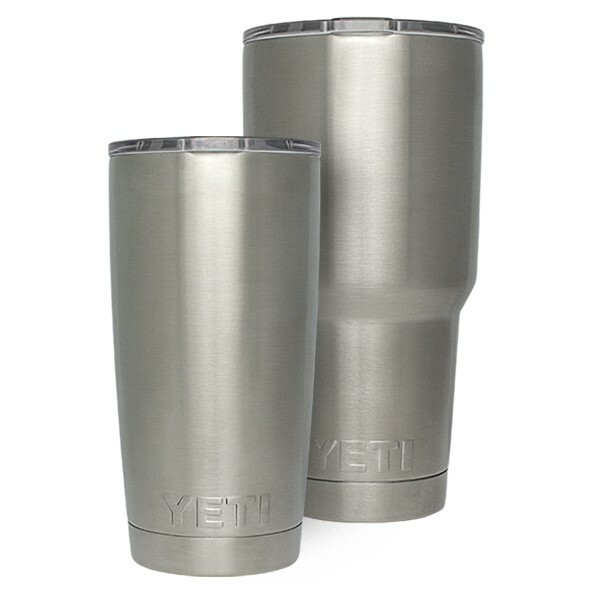 The result is a tough, hard-wearing personal drink cooler that maintains ice twice as long as plastic tumblers — and it works just as well for hot beverages. The lid that keeps your liquid in its place is easy to clean, shatterproof and crystal clear so you know exactly how much of your drink you still have to look forward to. Dishwasher safe.